want to know the secret to making your typical makeup tremendous? false lashes. i am a huge fan of false lashes. the finishing touch and secret of all makeup artists, Hollywood starlets, models and mascara ads. 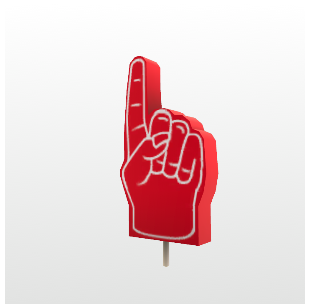 you know those foam fingers you use to root for your favorite team? that pretty much sums up how i feel about false lashes. 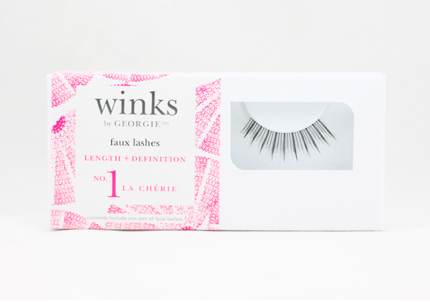 when i received the notice that Winks by Georgie was debuting their faux lash line on nordstrom.com i jumped (literally) at the chance to review their products. you see, there is something to be said for a high quality faux lash, and investing in a pair (or two) is a worthwhile investment. first, higher quality lashes come with higher quality packaging making them easier to store and maintain. lashes are designed to be worn more than once, but bend them, crimp them or smash them and they are goners. paper boxes can easily get damaged but Winks offers their lashes in an eco friendly, stylish compact that protects lashes. you can also purchase lashes or glue individually to refill your compact, allowing you to store you faux lashes indefinitely. 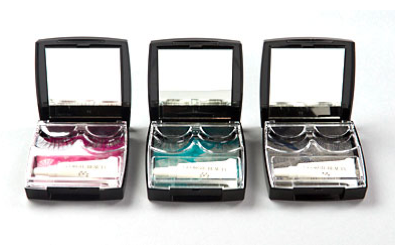 throw them in your luggage, purse, or makeup bag and they will stay clean, protected and ready to use. second, higher quality lashes provide you with a more natural appearance. you don't want to look like you're wearing false lashes, you just want your lashes to look long, full and thick; as if you had the found the BEST mascara in the world. the Winks collection features classic lash styles made with the highest standards, and an adhesive that is the highest quality, safest lash adhesive on the market. i'm wearing my Winks No. 1 La Cherie lashes above. i love this style because they perfectly enhanced my lashes while still allowing me to look like me. if you haven't given faux lashes a try, i would highly recommend it. if you are looking for a place to start, head to your nearest Nordstrom and give Winks by Georgie a try. 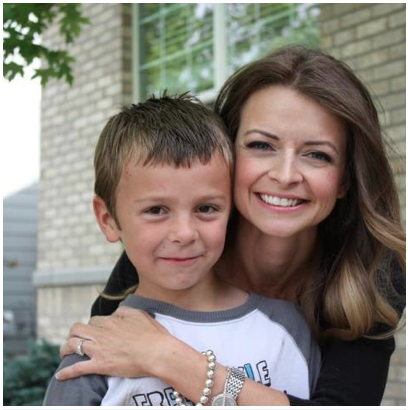 That picture is so darn cute! !